It’s been a long time since I have written, I’ve tried but each time I’m ready I run and hide. Life is weird, the rollercoaster we are all on has curves and drops and huge inclines at times. But with every great climb there has to be a drop. I’m happy to say we are making great progress. Not the amount we want, but progress nonetheless. We worked with a company to develop nail polish in Gabbys name; we collected over 1,800 books to donate to CHOP, AI DuPont and Hershey Hospital. Kids on the onco floor can’t borrow books due to their low immune system. When they take them they are theirs. My family reads together every night. I read to Carolynn’s belly when she was pregnant and to each of my daughters when they were babies. We try not to let them watch too much TV. Books are an escape, a way to use your imagination in anyway possible. So it was important to us to give this gift to these amazing children. Thank you to all who helped by donating books. Please don’t stop! Keep sending them and we will continue to do so. The foundation has been presented with an opportunity to fund a playroom for the Oncology floor at AI DuPont. As well as fund research software that catalogs a number of things concerning fighting this beast. If we move forward we are doing two things that make up our mission statement, funding research and funding these children. A playroom for these amazing children to be kids even though they are trapped in a hospital. And funding a research project to find a cure. The thing that worries me is we are committing to five years to pay this off. So I’m asking you all to consider donating to the foundation. After we lost Gabby we decided to keep fighting. We didn’t raise the amount needed but we will commit to it, which will hold us responsible to pay it for the next fives or six years. If anything happens we will be responsible, we will pay out of our pockets. It’s a risk I feel worth taking. We need a total of 125,000 and we are even a quarter of a way there. SO this Holiday season consider donating as a gift to a loved one in the name of these amazing children. 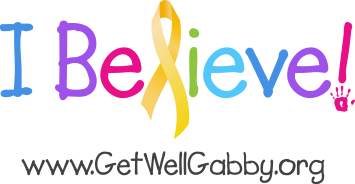 We are developing a new web site, that should be up soon, visit our website at getwellgabby.org and all donation instructions are there. Getwellgabby was something created in a beginning because we wanted to keep people updated on Gabby. We wanted her to Get Well. After she earned her wings we decided to keep the name. Get Well Gabby would help kids Get Better. But as a foundation we have been dealing with people being confused. People asking if she got better. It has been mentioned to us that we need to change the name. We don’t keep a single penny raised; I work as a Private Banker for a very large bank to provide for my family. We don’t want to have a name that makes people think we are still trying to get Gabby Well. I would like your ideas and thoughts in this process. What do you all think? The name is near and dear to us all, however we plan on doing this our whole lives. I have read so many comments about not letting anger take over, don’t let it sink its teeth into you soul. I have heard parents with children fighting this complain about the angry parents who have lost children. I understand what they are trying to say but don’t agree with it. At times I’m angry. End of story. It’s natural to be angry, I lost a beautiful little girl. But what these other parents don’t understand is that without anger how would we know what happiness is? Without death how would we appreciate life? 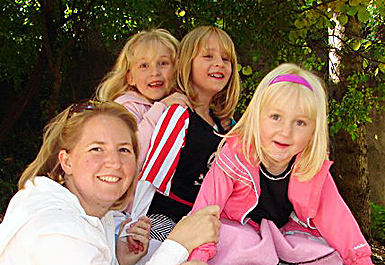 My wife and children are amazing people, at times my anger comes out on them. I wish I could control it. But I have bad days and good. We all do. It’s natural and healthy. The secret is being able to move on and be happy. There are days I’m happy and days I’m not. We lived a year away from the world. When money was tight we had to come back. Carolynn told me she couldn’t go back. As an old fashioned man I realized even though I wasn’t ready I had to go back to work, deal with the world. Lately most of my anger is because of this. I went back to banking, back to listening to people cry about fees because they couldn’t manage their money. Telling me it’s their money and how can I charge a fee? Well let me ask you something…. Can you walk into a grocery store and say I’m taking this food, I need it to live, how can you charge me for it? Of course you can’t. You have to pay. My job is the same. You want a bank to guard your money but you don’t want to pay for it? I deal with this daily. And When I get home I’m jealous of Carolynn. She is still hiding from the world. Safe from the ugliness that is out there. I have no right to be angry with her though. I hate what has happened to us. I feel alone; she has the house and the girls and me. She doesn’t have the world to deal with. But she does, she is still dealing with managing the house, the girls health, the pregnancy. And for this anger I am ashamed. I want to be a teacher but have no idea how to start. I have a degree, not in teaching but in business. I want to teach elementary school, so if there are any teachers reading this in Delaware please email me. I need help figuring it out. As I said I hate what has happened to us. We are fractured. I haven’t spoken to my sister in I don’t know how long, my relationship with my mother is strained to say the least. I see my in-laws and barely speak to them. This is when the self-pity kicks in. Carolynn has her mother to stick up for her. I work and work, come home late and just want someone to say: It’s okay John. But I don’t have that. My family is broken, they want to talk about themselves all I want is quiet and to not feel bad about how I’ve been acting, not feel bad about being lazy when I get home. I don’t want to feel bad when I don’t call someone because it’s just too hard to pretend I care about the trivial life problems. I know it isn’t right, but I can’t get past it. It seems like a contest to discuss who is hurting worse. And I just don’t want to play. I bought a pink notebook. I was going to use it to write all the things about Gabby. I wanted to do this so I didn’t forget. When I used to brush the girls hair I would pull the hair out of the brush and have a little hairball. The first time I did this, Gabby was with me. I called the ball of hair a gooby. The girls still remember it. I bought this notebook to write these things down. But I haven’t. Each day I feel I’m forgetting Things about Gabby. Hell I don’t even know what I remember of forgot. I’m afraid to write them down, because that will make this all real. I’m not in denial. I know she’s gone. But the instant I start writing down memories I feel I have given up. But I Don’t even know what I have given up. So I labeled this section endings. What does that mean? It goes back to the beginning. Books…… I started writing this blog and I have constantly heard you should make it into a book. It’s not possible. I think people were taken back by the fact that a father, a man could open up and share his feelings. I did it for other fathers, a way of saying, it’s okay to cry, okay to be mad, okay to have one two many drinks every so often and curse the world. The night Gabby earned her wings a couple came over. Parents of an amazing little boy. A boy who in my opinion will beat this monster he is fighting. A boy who will win where Gabby Couldn’t. His Father wrote a book. He told me about it the night we lost Gabby. The adventures of the chemo kid! I suggest you all check it out. And Mike I’m proud of you! But if I would write a book it would be different. Mine would be filled with the blogs and ramblings of a distraught father that at times lashes out at those trying to help… But what it comes down to is….. My book can’t be written because it has no ending. There is no winner, no loser, it keeps going. So how do you write that book? It’s impossible. In a situation like this, your life stops but life keeps going, changing you, and opening your eyes to a new way of life. The simple fact is life might have a beginning but in the end you make your mark, Gabby made her mark, And it’s my family’s job to make sure there is no ending till we win this fight. Hello my friend, we have just lost our 81/2 yr old little girl Brooke( see “prayers for brooke” on FB.) Evey single word that you have written expressess the exact same sentiments in my house. We feel the same exact way, post life of our daughters. Let me add this, even know we knew this was coming 9 months ago, we always believed we would be the ones who beat this( probably the same for you), even though doctors and history of the disease told us different. I cant decide which is worse, the daily torment ( and sleepless nights)of trying to save her and the pity of the doctors and nurses who knew for sure whats going to happen. Or, now that she is gone. I am supposed to be the strong one for the family, but this has taken all the strength from me, i guess the harder we are, the harder we fall!!!! !